Another thank you goes out to The Prophet, who shares my love of British singer/songwriter Katie Melua's new William Orbit-produced album The House, posting about Melua's second official single - "A Happy Place." This is a good single choice. Co-written by Guy Chambers, I've loved this song since I heard a clip of it playing in the album teaser posted on her label's YouTube page. "A Happy Place" is a little bit quirky with a haunting chorus that draws you in. Melua's vocals are just so...clear and smooth. Her voice flows like air...and the way she seamlessly shifts up into her upper register is beautiful to hear. Given the creativity of her last video for "The Flood," I have big expectations for the next video. The single is out in the UK on July 26th. The album is out in the U.S. on August 3rd. Listen to the album version of the track below. Thanks to The Prophet for the heads up on this one. We'd heard previously that Michelle Branch and Timbaland were hitting the studio together for some sort of collab but were left wondering...WTF? Well, finally the end result is here and I have to admit that I'm pleasantly surprised. While I love Branch's more pop driven sounds on singles like "Breathe" I was worried about a more urban collaboration - just not sure if Branch's vocals are a good fit with that sort of sound. Well...Timbaland went ahead and proved me wrong! The mid tempo "Getaway" blends country, R&B and pop together into a rather slick production. You gotta hand it to Timbaland...everything (and everyone) he touches turns into musical magic. "Getaway" is to be used in a promotional campaign for the new MINI car called the Countryman. I guess the fact that she's keeping busy with random side projects like this suggests that the release of her own album is a ways away. Oh well. This should tide me over just fine. Once again...I've dropped the ball. 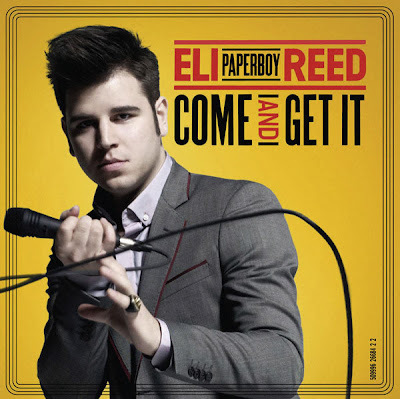 Eli "Paperboy" Reed? Where have I been? And he's from Boston? WHAT?! Unreal. I need to up my game. Reed's music is RIGHT up my alley...well...my R&B/Soul alley. He's got a voice that brings me back to my childhood...when all my folks would listen to on the radio was "OLDIES". I NEVER would have guessed these Motown-inspired sounds would be the product of a skinny white boy from Boston. NEVER. He's got pipes! I'm sold. Oh, and you can also catch "Paperboy" lending his talents to a Basement Jaxx track on their latest album Scars called "She's No Good." So I guess he's up my DANCE alley as well! The first single, the album's title track "Come and Get It" (released June 1st in the U.S.) sounds like it's from another time. While Reed may be new to me, he's not to the music scene. In fact, he already has two independently-released albums, Sings Walkin' & Talkin' & Other Smash Hits! and Roll With You (the latter I just ordered on Amazon). 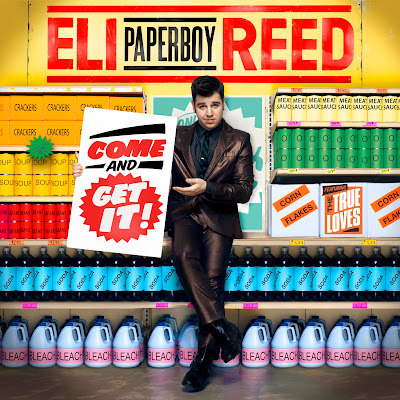 Eli "Paperboy" Reed makes his MAJOR-LABEL U.S. debut on Capitol Records (Polydor in the UK) on August 10th. Produced by Mike Elizondo (Eminem, P!nk, Gwen Stefani) Come and Get It has that retro-vibe all the while keeping current and evading the soul-LESS sound that so many contemporary artists often succumb to, trying to mimic that iconic 60s/70s Motown sound. 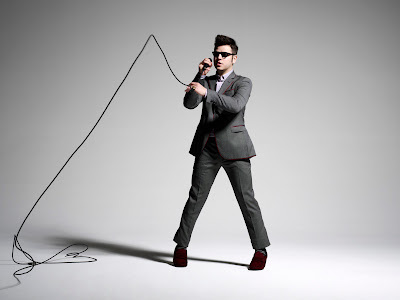 Reed's vocals are smooth, soulful with a contemporary feel and I am [NOW] a fan. 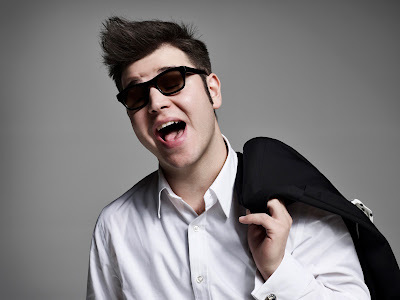 This guy has been blowin' up over in the UK (his album was released last month), even being nominated for a 2009 MOJO Breakthrough Artist of the Year award. Wow! What's more, Reed is coming to Boston tomorrow! Crap hat! I bet it's sold out. I bet this guy puts on a show! The tour kicked off in New York City at the Mercury Lounge on June 3rd and takes Reed across the country, ending the tour in LA. Looks like I'll have to catch him next time! 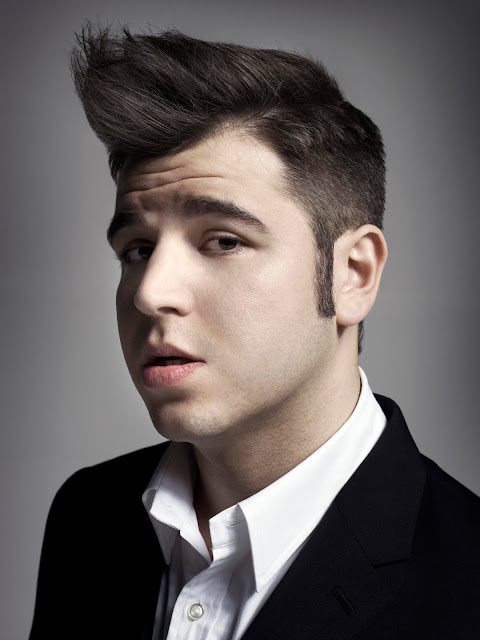 To tide you over check him out here playing Jools Holland in 2008.